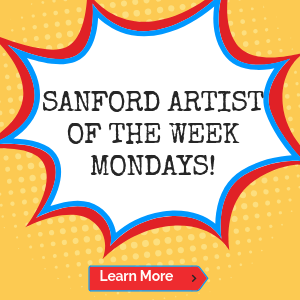 Our Welcome To Sanford Artist of the Week is popular local musician Rob Matthews. 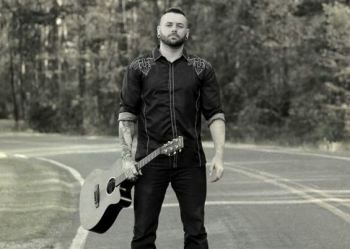 Rob is a Sanford native who has earned his spurs as a dedicated professional musician. His talents cover a wide range, including guitarist, vocalist and composer. Rob is known for performing a wide variety of songs with a very unique one man show that is always full of energy, and unpredictable at times. Reviews of his live shows have used phrases like “smooth voice,” “gritty growl,” “outlaw outlook,” “high energy” and “charismatic” to describe the Rob Matthews concert experience. From a very young age, Rob was fascinated with music and eager to cut a stylish figure among friends, family and classmates. Once he got a Yamaha acoustic guitar from his dad in his early teens, his career path was set. As a professional musician Rob has earned a loyal following among fans throughout the Carolinas. 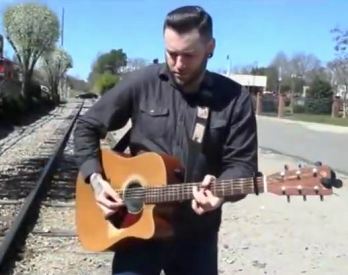 He’s headlined at numerous venues in the region over the years and has also proven to be a popular opening act for national recording artists. Rob has also spent considerable time in Nashville throughout his career, steadily honing his craft and building a following in Music City. Rob’s Facebook page includes information about events past & present, as well as live snipets of Rob’s live performances. 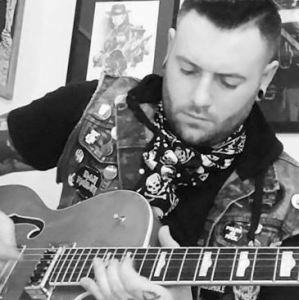 Lately, Rob has focused his considerable talents and energies on the rockabilly sound that fuses first generation rock & roll with country and classic rock trappings. 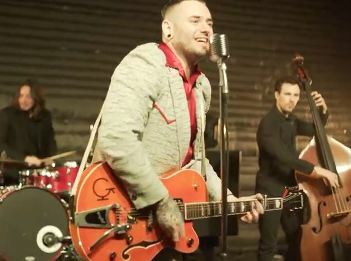 So it’s no surprise that when asked about the musicians that inspire him most, Rob says, “Some of my influences from the top of my head are Chris Isaak, Johnny Cash, Roy Orbison, Elvis Presley, Brian Setzer and Chuck Berry.” Last year Rob recorded an entertaining music video in Nashville that serves as a tribute to his love of the roots of Rock & Roll. You can click on this image to enjoy nearly 5 minutes of musical bliss. 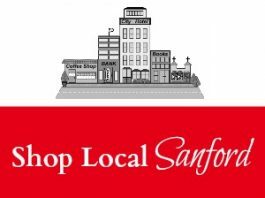 Of note to local fans, the 3rd Annual Rob Matthews Rockabilly Revival will take place at Sanford’s Temple Theatre on Saturday night, June 1 at 7:30pm. 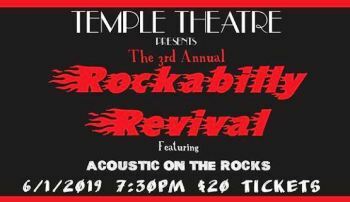 This upbeat celebration has quickly become a much-anticipated annual highlight on the Temple calendar, headlining with Rob and his band, and including supporting artists who also enjoy a local following. Tickets for this amazing evening of musical entertainment are already selling at a steady pace. 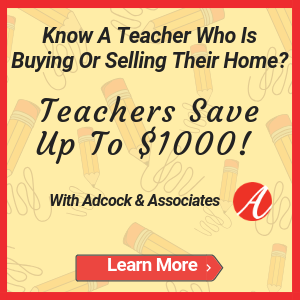 To get yours, please click here to access the Temple Theatre’s online box office. It’s also worth noting, that Rob’s original material moves in a number of musical directions. His latest single The Desert, offers a contemporary country music sound, complete with a great vocal performance and meaningful lyrics. 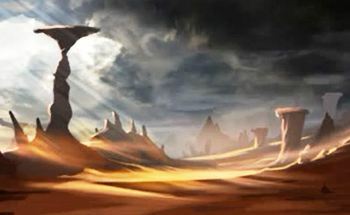 You can hear it by clicking on this image. Rob’s YouTube Channel includes plenty of other recordings, of both original material and amazing cover versions of songs you’re sure to know and love. One of Rob’s singles from a few years ago also appears on his YouTube channel. It’s called Dream To Chase. You can see it and hear it by clicking on the black & white image below. And as a final (musical) note, we have evidence that Rob’s music appeals to fans of all ages. 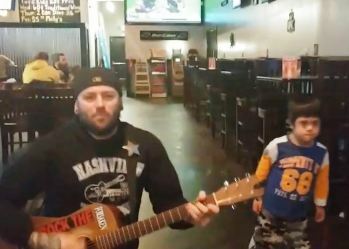 Here’s a popular viral video of a young boy’s reaction when Rob breaks out his guitar and begins singing and playing in a Nashville restaurant.